In the 1950s professional historians claiming to specialize in tropical Africa were no more than a handful. The teaching of world history was confined to high school courses, and even those focused on European history. Philip Curtin developed a sound methodology for teaching world history and, always a controversial figure, revived the study of the history of the Atlantic slave trade. His career stands as an example of the kind of dissatisfaction and struggle that brought about a sea change in higher education. 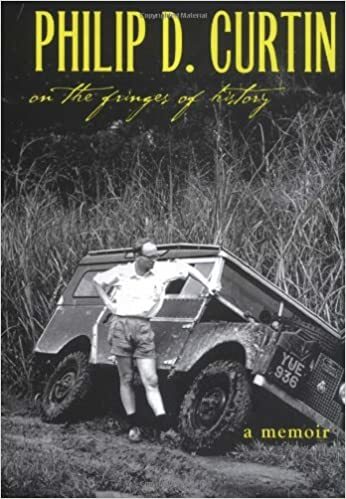 Curtin founded African Studies and the Program in Comparative World History at Wisconsin and Johns Hopkins universities, programs that produced many of the most influential Africanists from the 1950s into the 1990s.Written with economy and telling detail, On the Fringes of History follows Curtin from his beginnings in West Virginia in the 1920s. This memoir, beautifully illustrated with Curtin's photographs, tracks the emergence of American interest and engagement with the wider world and writes an important chapter in the history of twentieth-century academia.